As with so many other circus elephants, Lottie was captured from the wild at a young age and shipped to America to spend her life performing. Little is known about Lottie's early years, but records indicate in 1995 at the age of thirty, she was sold to the Hawthorn Corporation by California-based Circus Vargas, along with Minnie, Gypsy and Sue. 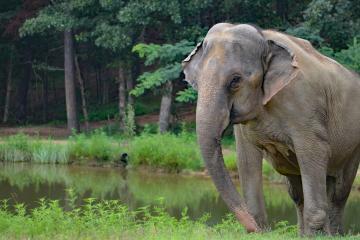 As a result of USDA prosecutions against the Hawthorn Corporation for violations of the Animal Welfare Act for inadequate care and mistreatment of its elephants, Lottie was sent to The Elephant Sanctuary in Tennessee. 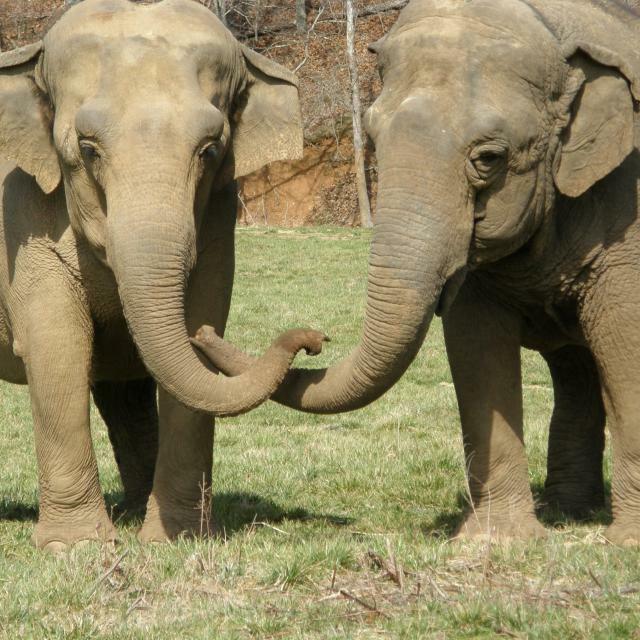 On January 31, 2006, Lottie became the 16th resident of The Elephant Sanctuary in Tennessee arriving with her barn-mate Minnie. 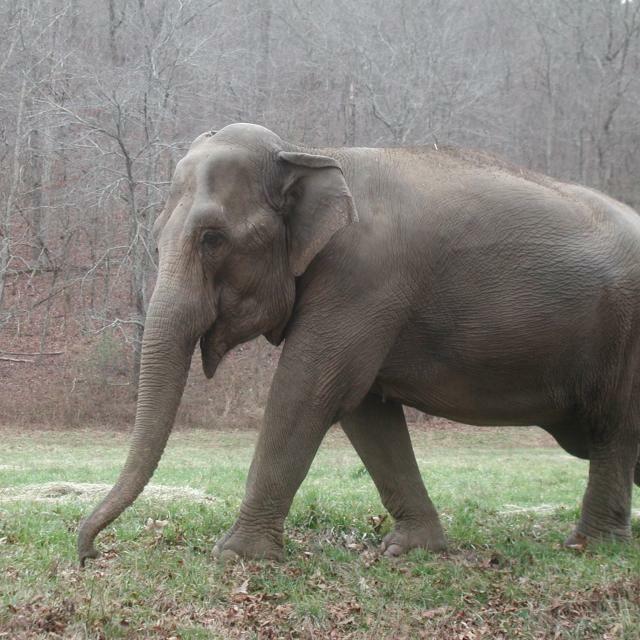 She was the second of eight circus elephants to move from the Hawthorn facility in Illinois to The Sanctuary over the course of two weeks in early 2006. Minnie also came to The Sanctuary, Sue died at Hawthorn Corporation during preparation for transport to The Sanctuary, Gypsy was transferred to PAWS as a companion to Nicholas. In their first weeks and months at the Sanctuary, Lottie became the self-appointed leader of her former circus herd and was instrumental in greeting and helping the later arrivals adjust to their new free-choice access to the habitat and barn. Lottie often seemed very calm and even serious. She spent most of her time with her best friend Minnie. In the beginning, it was not unusual for Lottie to slip off to an unexplored area of the habitat and bellow for the rest of the herd to come join her. Caregivers noted that over time Lottie became less serious and more playful, sometimes heading off to entertain herself with in the wooded areas or the creek. Lottie passed away very suddenly on the morning of October 10, 2010. During the routine morning feed, she was discovered lying under a large cedar tree, hidden behind some brush, with no signs of life. This came as a tremendous shock, as Lottie had appeared to be fine, with no indication of failing health; her energy and appetite had been normal. It was clear, based on Lottie's abnormal position and no evidence of a struggle, that she had passed away very quickly—as if she suddenly collapsed and passed in an instant. A soft, quiet "mother figure" and peacemaker who seemed to have a calming, neutral influence on her herd, Lottie's legacy will never be forgotten.